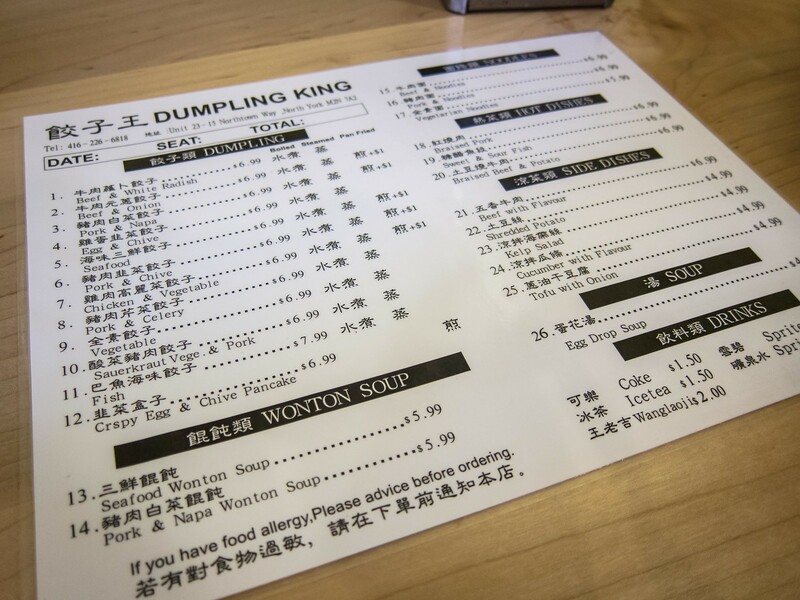 In North York, Dumpling King is a great Mom and Pop restaurant and the place to grab plates (plural is the preference) of hot dumplings. 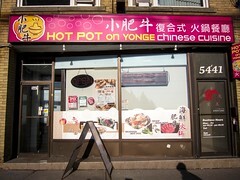 Atmosphere: The restaurant is located in the cul-de-sac of Northtown Way in North York, surrounded by condos. 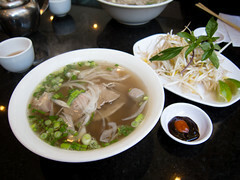 This little turnabout is home to a number of great, cheap restaurants that offer authentic, quality food. All of the restaurants are tiny. While there is space to sit inside, at most 12 people could fit at full capacity. 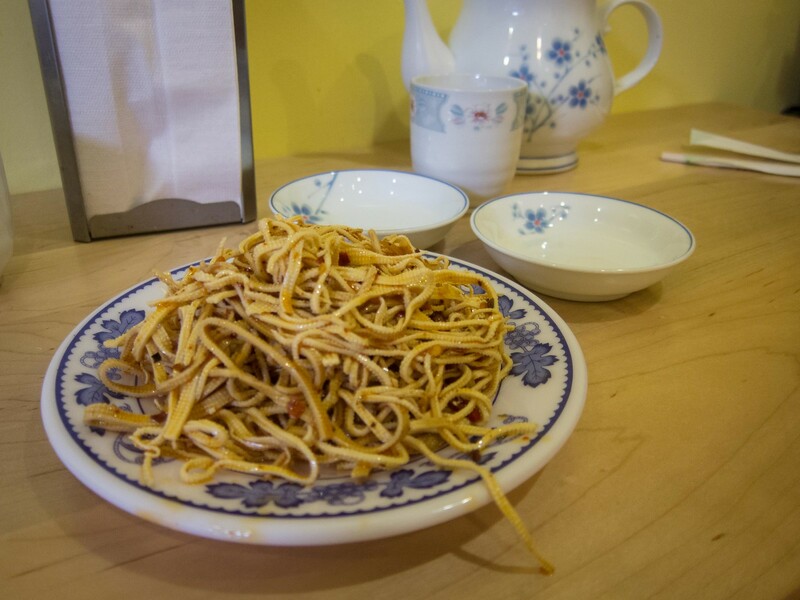 The owner takes your order, chats with regulars and brings out plates of delicious Chinese fare. 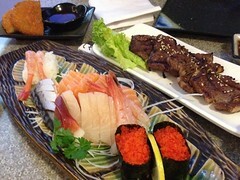 The queue of take-out orders can get backed up, and at times, the wait for an order could be 45 minutes. Calling ahead for takeout is a must. Service: As previously mentioned, this is a true Mom and Pop shop. While we ate, I could overhear the owner talking about how his daughter, who used to help serve at the restaurant, is now in university and how his youngest child doesn’t love helping out. With only one server, it’s a bit hectic but charming at the same time. The space is clean and the service was friendly. 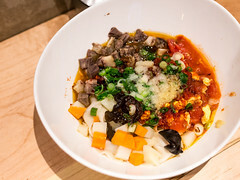 Food: If you don’t read Chinese or have a knowledge of Chinese dishes, the menu can be a bit confusing, especially the hot and side dishes. 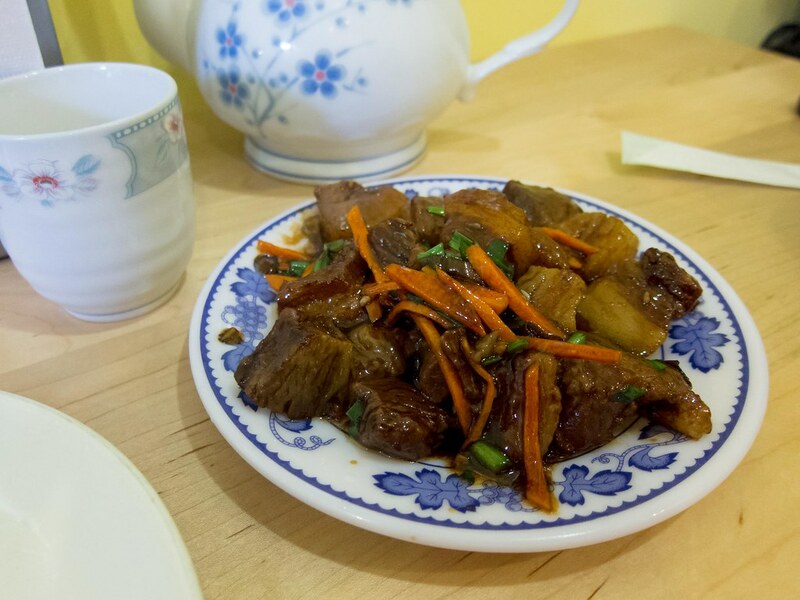 For examples, Hong Shao Rou is listed simply as Braised Pork and Beef with Flavour is really Five Spice Beef Slices, a cold dish. Tofu and Onion is actually shredded tofu sheets with a peppery, soy sauce dressing. My reading in Chinese isn’t the best so before I ordered, I looked around at what other tables had ordered. There are only a handful of dishes and each has a specific ingredient so it’s easy to match dishes that looked appetizing with the menu item. Between The Fiance and I, we ordered a plate of pan fried pork and chive dumplings, a plate of braised pork and tofu with onion to start. The seasoning of the shredded tofu was delicious, a good balance of sweet, sour, salty and spicy. It really whet your appetite and was a nice cold dish on the hot day. 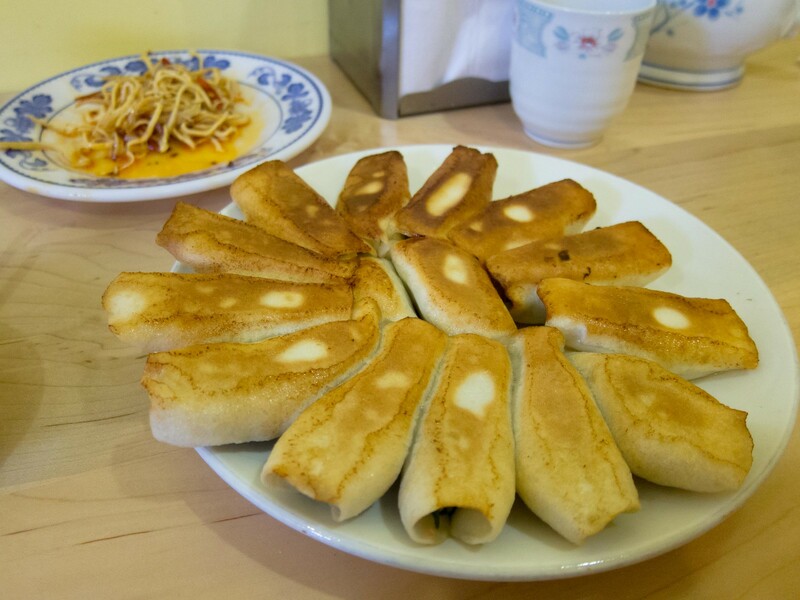 When the dumplings first arrived, we were concerned that the wrappers weren’t fully closed, but the filling was juicy and not dry at all. The dumpling skins were thin and crispy. You could tell they were hand rolled by the elasticity in the dough. 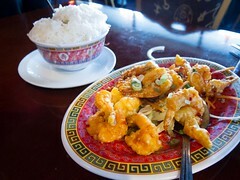 Condiments of chili sauce, soy sauce and vinegar are spread out through the restaurant for diners to use. I also really enjoyed the plate of braised pork. The dish was on the sweet side and each fatty piece was caramelized to melt in your mouth.